What better way to encourage saving during Military Saves Week than to offer some incentives, like higher interest rates on some savings accounts? As part of this week’s campaign designed to encourage those in the military community to save money, reduce debt and build wealth, a number of military banks and credit unions are offering some special deals. While we can’t list them all here, these will give you an idea of some of the offerings, and perhaps inspire you to check with your own bank or credit union. While some of these incentives are offered in conjunction with Military Saves Week, many of these and other financial institutions serving the military community offer rates on savings and loan products throughout the year that should be explored as you shop around for the best product for your needs. 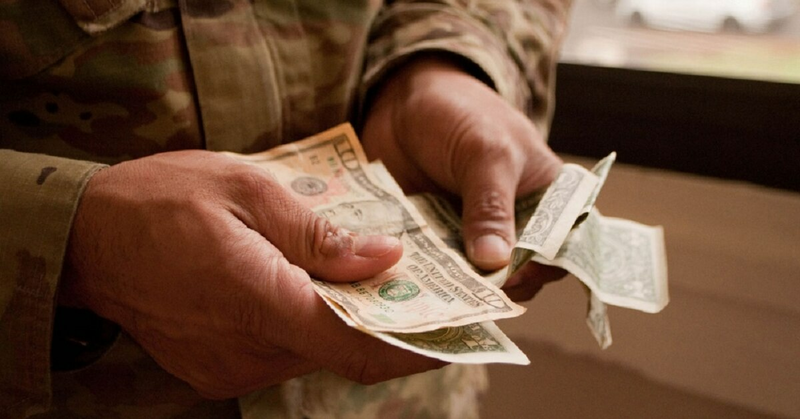 Military Saves is one part of the Defense Department’s financial readiness campaign. Like the overall America Saves program, Military Saves is managed by the Consumer Federation of America. America Saves Week is also Feb. 26 through March 3. 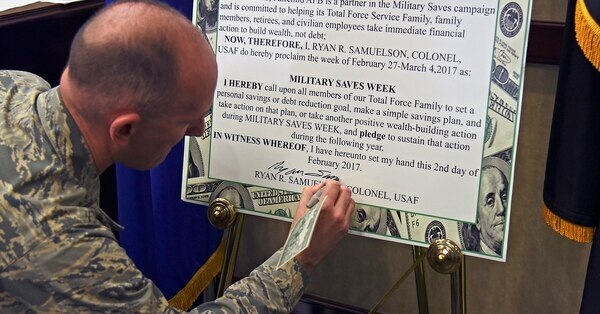 You can visit MilitarySaves.org to sign the “Military Saves” pledge, and for tips and resources to improve your finances all year long. When Army Spc. Oliver Bugariski was transferred to Germany, he embarked on a yearlong personal financial challenge: to focus on getting a grip on his spending and to put more money in his retirement accounts. A number of installations and organizations participate in the campaign, offering lots of tips and educational resources to help you on the way to financial success. Here are a few examples of the incentives being offered. Check each offer for further details on terms, eligibility and other information. Air Force Federal Credit Union: A 12-month share certificate with a 3 percent annual percentage rate. Membership eligibility is required; it’s available to active duty, Guard members, reservists, Defense Department civilians, and veterans within Texas, Louisiana, Oklahoma, Mississippi and Arkansas. Andrews Federal Credit Union: The “Generator” certificate is offered at 0.75 percent annual percentage rate for a 36-month term, and the credit union will match a $50 deposit. Armed Forces Bank: Up to $30 worth of incentives for those who take the Military Saves pledge and open a new savings account. Existing customers who make a qualifying deposit will receive a $10 incentive. The incentives offer a higher rate of return over the course of a year for most accounts. Navy Federal Credit Union: Share certificate special with 2.25 percent annual percentage rate for 15 month term; IRA certificate special 2.75 percent annual percentage rate for 32 month term. Pacific Marine Credit Union: Saver certificate special at 4 percent annual percentage rate for 12 months, offered between Feb. 26 and March 31. USAA Bank: No origination fee on VA home purchase loans and VA refinance loans, through March 31. Avoiding this fee saves an average of more than $1,800 when you buy a home. For the VA refinance loans, according to USAA, “Average origination fee savings of $1,741 is based on a .75% origination fee applied to the average loan amount for all VA cash out refinance loans funded by USAA Bank in 2017.” The offer isn’t available in Texas.